The National Highway Traffic Safety Administration (NHTSA) has recently bestowed a top safety rating for the 2014 Subaru Forester SUV. This rating isn’t really shocking, as the vehicle has improved on the already good previous model, and also having received similar ratings a few months back. The NHTSA put the 2014 Forester through a series of test, and the vehicles performed admirably. In a similar fashion of the previous version, the Forester scored a 4 star rating for both frontal impact and rollover tests. The region that Subaru really worked on is the side impact, and the 2014 Forester managed to get a full 5 star rating after the tests were over. Once the 2014 Subaru Forester hits the dealerships in USA, it will bear a price tag of 21.995 USD. For starters, it will come available with either a naturally-aspirated 2.5 liter box engine developing 170 Hp or a turbocharged 2.0 liter engine capable of churning some 250 Hp. 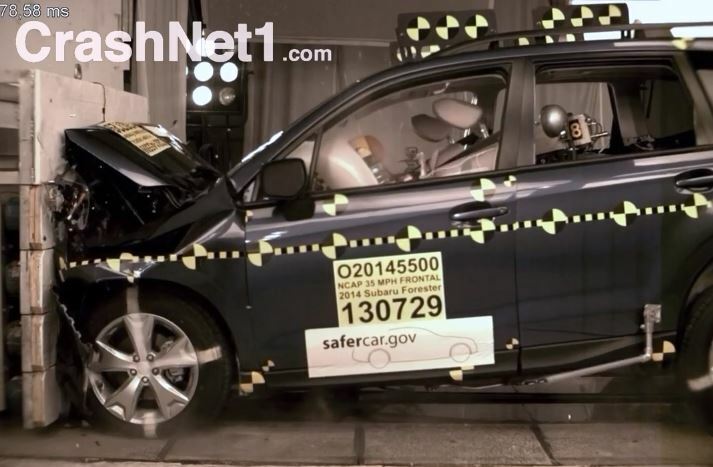 The NHTSA were even kind enough to provide us with footage of the frontal crash test, a video you can watch below.